The Boardwalk Shop is a group of loud-laughing, big-dreaming, faith-driven and true-hearted gals. We are mothers, entrepreneurs, daughters, dreamers, sisters, doers, friends, bosses, adventurers, and colleagues. You can find us drinking coffee in the mornings, chatting through the day, dreaming and brainstorming together, rocking out late into the night for those after-hour projects, sipping wine during our meetings and laughing until it hurts together! We are The Boardwalk Gals! Jeanette grew up in Wasilla where her family ran a consignment store, she's carried that tradition into her business taking home décor, locally made items and antiques on consignment. She enjoys meeting people from all over the world and hopes that in turn she can inspire others to find joy in the journey! Transplanted from Oregon at the age of 6, Jeanette has always considered Alaska her home. She enjoys spending her time gadening, traveling, hiking and sitting at the lake. Favorite Day: Any day spent with friends/family in the sunshine. Favorite Saying: "Find Joy In The Journey"
Born and raised in the Mat-Su valley, Patricia raised her kids here, who are now following suit with their own kids. Both sets of grandparents homesteaded in the valley so their family roots run deep here. Patricia values any time she can spend with her family and grandchildren, fishing, hiking, camping and soaking in the great outdoors. When she's not with her family, you can find her creating and working on new artistic endeavors, a few of which are soon on the horizon. She has also illustrated a couple of children's books and has a children's book of her on that she is hoping to have published soon. Favorite Saying: "Don't go looking for happiness, create it"
Alicia is a dedicated and busy mom to two daughters and can often be found running around between school projects and activities. When shes not working or running kids around, Alicia enjoys spending her time relaxing by her lake, hiking, camping and family movie nights. She also enjoys game nights, quilt retreats and activities with extended family! 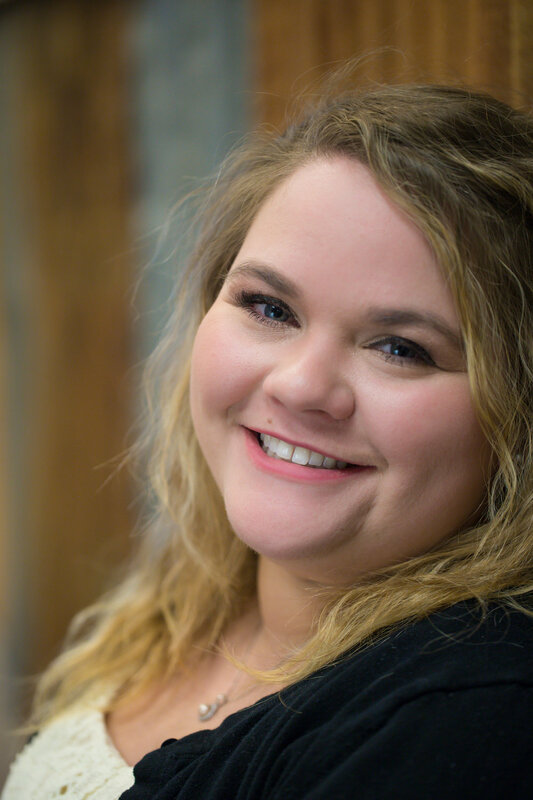 With her bubbly and friendly personality, people often mistake Tammy as an extrovert, when in reality her favorite place to be is in her home, surrounded by family. She loves the simple things in life~ faith, family, friendship, a good book, a big cup of tea and quiet moments to reflect. In the fall of 2014 she became a widow and understands the brevity of life and now desires to live with passion & purpose. Tammy's ultimate dream is to travel in a vintage VW bus, discovering new places & people and drink tea under the stars at night. Favorite Pastime: Travel, reading & watching any HGTV shows. Charity was taught from an early age the importance of being creative and utilizing items around her. This has influenced her love for creating and upsycling within her business. When shes not working on those projects, Charity is probably enjoying the outdoors by hiking, camping, fishing, four-wheeling, and exploring. Laurel had been a long time favorite familiar face around The Boardwalk Shop before she joined as a shop owner. Her faith & attention to detail inspires her as she mindfully selects inspirational gifts and home décor for the shop. When she's not at the shop greeting customers with her friendly personality, Laurel enjoys singing, baking, gardening, and finding joy in the simple things of life. Michelle is a bright, bubbly and a tad bit sassy gal, always putting a smile on everyone's faces! If you swing by the shop in the Summer months, you may notice that Michelle's bright smile isn't around as she works at a remote hunting lodge June-Sept. Michelle loves to spend her free time hiking, kayaking, horseback riding, camping, and road-tripping! Also enjoys: traveling, spending time with family, and baking. Hannah has been a part of the shop since the beginning and she enjoys helping our customers, displaying merchandise, planning the shop's events, and making The Boardwalk Shop the best it can be. Texan by birth, Hannah has been in Alaska since the age of 4 and enjoys spending time with her family, growing her own dream business, traveling and daydreaming.